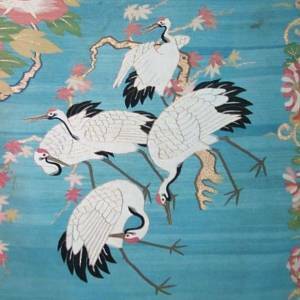 c.1725 English needlepoint panel in wool and silk. 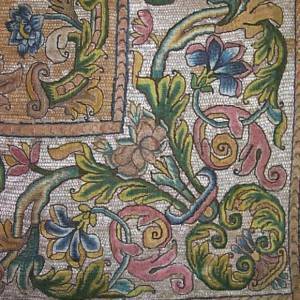 Italian, early 17th century needlepoint hanging. 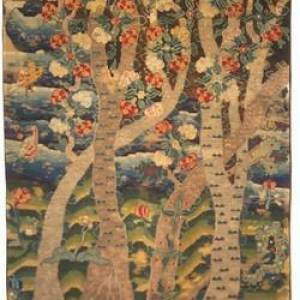 Late 18th/early 19th century Japanese blue ground k'oss-u. 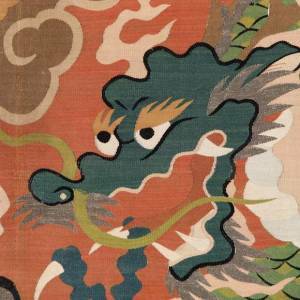 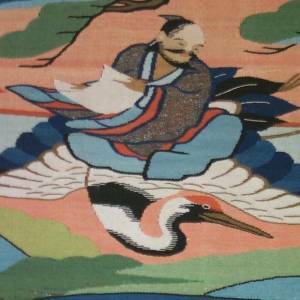 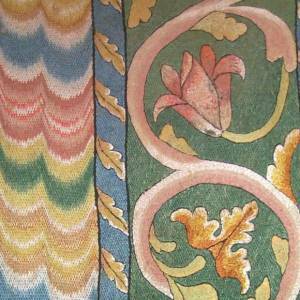 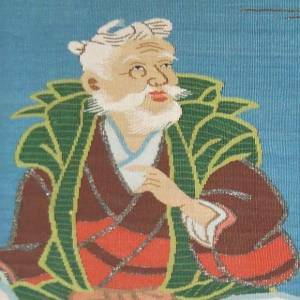 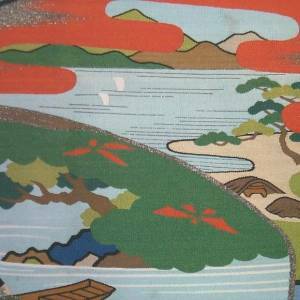 Japanese fukusa (tapestry weave gift cover).